Hear hear on No 1. Don´t know the others. I agree that BBC is a treasure. Good Omens and The Golem and the Jinni would both be fantastic miniseries!! Great choices!! The Golden Compass was a terrible movie. Did the other ones get made? If so I didn't watch them... haha. It's too bad, those books have such potential! Good Omens would be awesome - I missed the radio production, though. The Night Circus would make a pretty spectacular mini-series. Imagine all that description of the circus come to life on screen! And the story wouldn't drag as much because there's no need to describe it because you see it all. Jenn, now that you mention it, I have only seen the first movie too. And a trailer for the second one, but maybe it was fan-made. After the first film though, there was no way I was going to watch the sequel. Caaleros - That is true, I didn't think about that. Of course there would be no description and so no trudging details! 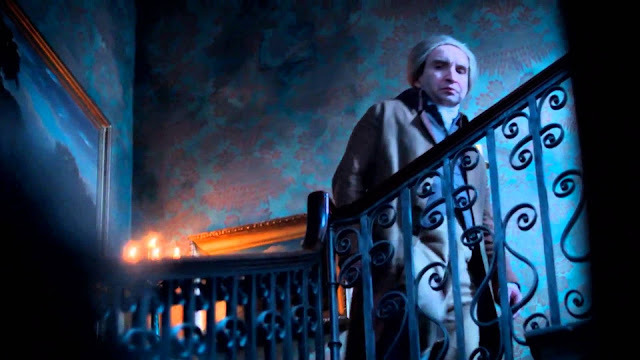 Jonathan Strange & Mr Norrell - I can't wait to see that! Oh, and I would absolutely love it if they would make a movie in three parts after The Farseer Trilogy by Robin Hobb. I agree with you, The Golem and the Djinni would also be great. I really enjoyed the book. Looking forward to your future posts. I like your plans and wish you luck with all of them. I'm looking forward to watching the Jonathan Strange BBC series, although I feel I should read the book first. I found it at the library and since it was a door stop, I didn't borrow it. I'm going to try and get the ebook. I agree that fantasy novels make for the best movies. Do you have any favourites?